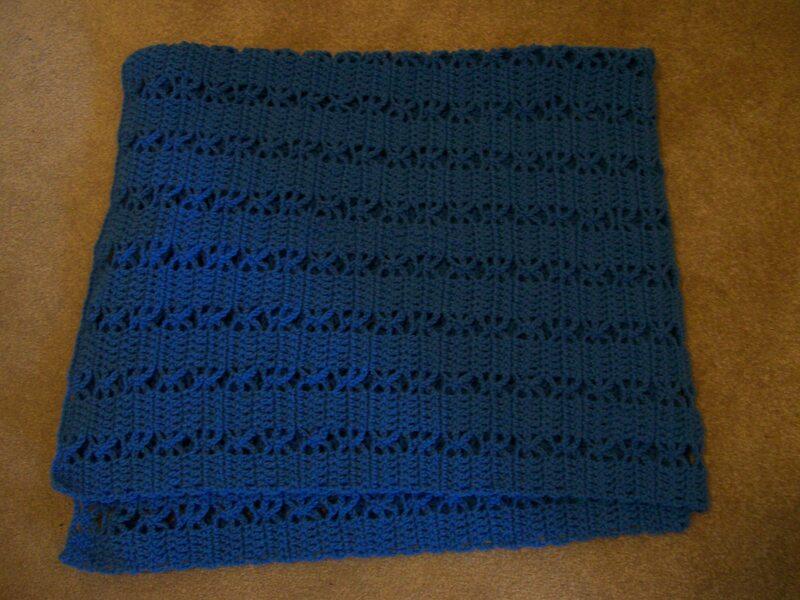 I’ve been working on crocheting this afghan for several years. Not sure exactly when I started it, but I did finish today. 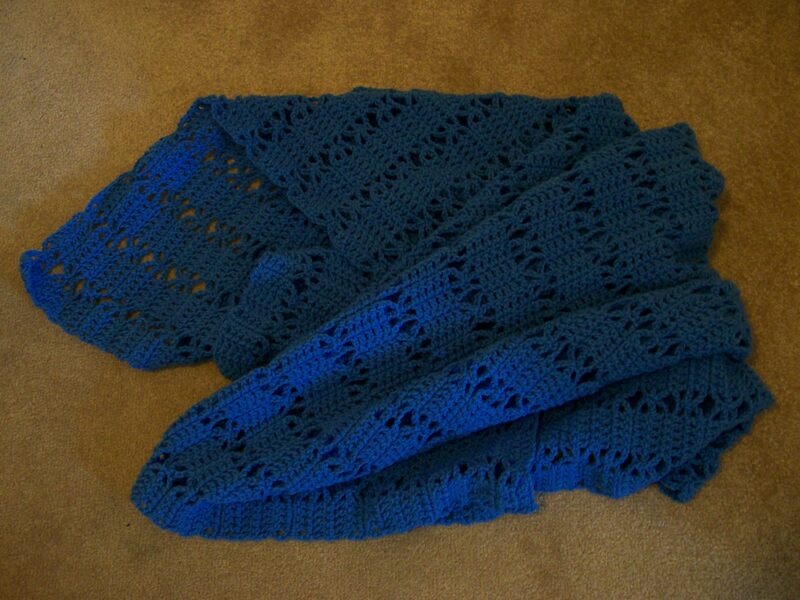 It’s one of my favorite crochet patterns I found on a yarn label years ago. I use it for scarves, baby blankets, and afghans. What a relief to finish a large project.